6. Do you plan on staying in Georgia after college? Yes. I plan on going to graduate school and being a Graduate Assistant after I graduate in December. 8. Who are some of your best friends on the team? Mohamed Massaquoi, Antavious Coates, CJ Byrd, Mike Moore, Kevin Perez, Tavarres King, Ian Smith, and of course Jeff Owens; but really this list is just a few. I could name pretty much anyone on the team. 9. Who inspires you the most? My father has always been an inspiration to me in every aspect of life. 10. What is your favorite song (hip hop/R&B/Soul/Country/Gospel/Jazz)? My favorite song of all-time is “Lights Off” by Lil Wayne. It was on his early album, Tha Block Is Hot. 11. If you could change one thing about yourself physically, what would it be? My height. I’m listed as 6’1” and that’s really pushing it! 13. What do you like to do for fun? I love fishing. 14. What's your favorite meal to eat? Buffalo wings. 16. Why did you choose UGA? Everything about UGA was incredible to me. The coaches, players, town, and overall atmosphere blew me away. 17. What's your proudest moment at UGA? 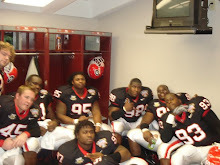 My proudest moment was being part of the 2005 SEC Championship team. Even though I redshirted that year, it was something I was proud to be a part of. 19. What's your fondest childhood memory? Fishing with my friend from back home all over Charlotte is one of my best memories. We went wherever we could go without getting kicked out. 23. What is your greatest fear? I hate heights. 24. What is your greatest accomplishment in life? Knowing that I am going to get a degree from the University of Georgia this fall is my greatest accomplishment so far. That degree will open many doors. 26. Who are your favorite male actor, and Female actress? Will Ferrell and Gabrielle Union. 28. What's your favorite reality show? I hate reality TV. 29. What's your favorite thing about football? My favorite thing is the team aspect involved with the sport. 30. What does wearing the “G” means to you? The “G” represents a lot of things to me. It is a reward to wear it and it reflects a lot of hard work throughout my life to get here. It also represents the history of an incredible football program that is respected around the nation. It is our job as Bulldogs to carry on the legacy of Georgia football and we are all proud of wearing that G. It means everything to me and it is something I will cherish forever. like what you're doing here, j.o. keep up the good work. Good to know that Joe and I not only share a birthday, but also a disgust for reality TV. But the answer to #30 was my favorite. Wow, you really DO get up early. Great stuff! We're behind you this year Joe. Work hard, don't let us down! "28. What's your favorite reality show? I hate reality TV." I love your blog and this interview was vary insightful about Joe cox. Great job with the blog Jeff! And you made mention on EDSBS. Keep it up the good work Jeff! It was great learning more about you Joe! We all look forward to seeing you on the field in the fall (and you too Jeff)! GO DAWGS! Great blog Jeff! Keep up the good work. Your a damn good dawg. Thanks for posting this Jeff. I truly enjoy learning about all of our players off the field! Man, Joe Cox is what Georgia Football needs! He seems to have the same goals as the fans, and that really gets me pumped about the 2009 season! Thanks, Jeff, for your inspiring blog...you rock my face off! Joe Cox is what Georgia football needs! His goals for the team seem to be congruent with the fans, and I'm so excited to see him lead this team in the 2009 season. Thanks, Jeff, for sharing your inspiring blog with the Bulldog Nation. You rock my face off! Mama Sid's Pizza? I knew I liked this guy for some reason! People like Cox and Owens are truly good people. it makes everyone in the bulldawg nation proud. Joe Cox = Team Player! His response to his proudest moment was being a member of the 2005 SEC Champ team - and he redshirted! I figured he'd say the TD pass to beat Colarado, but he picks a total team effort instead. Goooooo Joe! Next time you and Tavarres come out to Hammers Glen Golf Course in Homer, bring your fishing poles. Big bass and catfish in #10 and #12 pond. Joe: Did you ever get to speak with fellow IHS Alum Chris Leak about UF during the recruiting process? Btw, my cousin is Mac Cramer, if you know him! My cousin in NC kept me posted on Joe and MoMass before they came to UGA. I wish MoMass luck in the draft and Joe good luck with this season. Go Dawgs! Love the new blog Jeff. As many others have mentioned, you are a Damn Good Dawg! Good luck on and off the field! 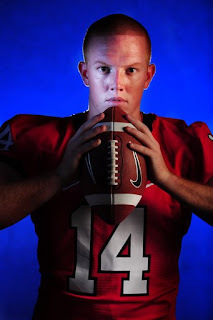 I can't wait to see Joe prove he can be a great SEC QB also. I've seen him make the throw's. I've seen him pull out a game for us in the clutch(Colorado). I believe in Joe! This is my new favorite blog too. Keep it up man. The Dawgs are in good hands with Joe Cox and I very much appreciate Jeff Owens' blogs keeping the BullDawg Nation abreast of the latest happenings. Joe's leadership is already shaping the DAWGS into another contender for next season. God bless you Joe. Be humble, be greatful for the blessings that God has given you physically, mentally and develop your spirit with great owner maintenance. Go DAWGS! I am from Fort Lauderdale, Florida. I am the youngest of my siblings. I am an Early Childhood Family Development Major.I am also working towards a minor in Consumer Economics and Housing. 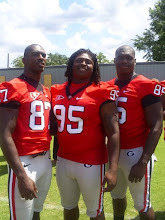 I play defensive tackle for the University of Georgia.